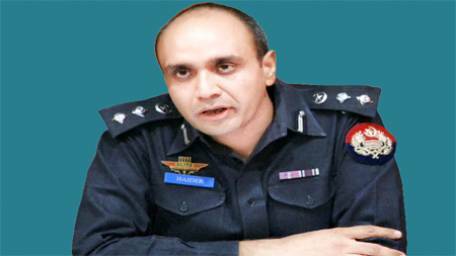 DIG Operations Dr Haider Ashraf Tuesday said that welfare officers had been deputed in every circle in the city who would be responsible for police stations’ cleanliness, leaves of policemen, welfare of families of martyred policemen and other matters of circle police stations. During a meeting with the circle welfare officers of Shahdara circle and inquiring about the health of two injured policemen here, he said the city police were taking measures for the welfare of families of martyred policemen. The DIG said that a hospital would soon be completed in Police Lines Qila Gujjar Singh in which all treatment facilities would be provided to the policemen. He said that welfare cards would also be issued to the families of martyred policemen so that they could be able to purchase daily commodities from markets at subsidized rates. He said that he would conduct surprise visits to the Shahdara circle police to monitor arrangements about police stations’ cleanliness, welfare of policemen and others.